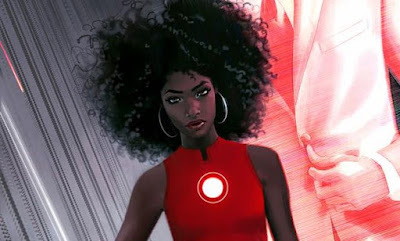 Riri Williams is the young, black, female teenager who took Iron Man from Tony Stark, a rich, white, heterosexual male who created Iron Man and risked his life many times over to save others. But Stark wasn't good enough any more. Even saying that it's "DIVERSITY" that is hurting sales, makes comic-book readers sound inherently racist. What's hurting comic book sales is the blatant propaganda at a new and unwelcomed ideological tidal wave telling comic book readers that, if they are male, and especially if they are white, they don't matter in the world and they need to be replaced (i.e., killed and destroyed). 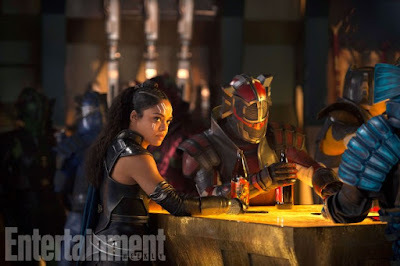 We have discussed this before, that the reason Marvel replaced their core characters with minorities they want to associate themselves with the Democratic Party, is because it's a win-win situation for them: Marvel has destroyed Captain America and Iron Man, so now, American doesn't have their cultural icons who embody--literally--traditional American values, and have replaced them with people who embody the new ideological values being rammed down America's throat day and night. "You're not going to buy the comic books? Okay, we still murdered your Captain America and Iron Man, so we're still ahead of you." 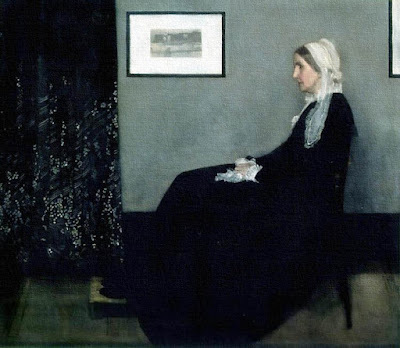 The destruction of a culture's and society's identity begins with the destruction of their art; once their art is destroyed, their identity becomes malleable and you can re-create it, which is exactly what they want to do. 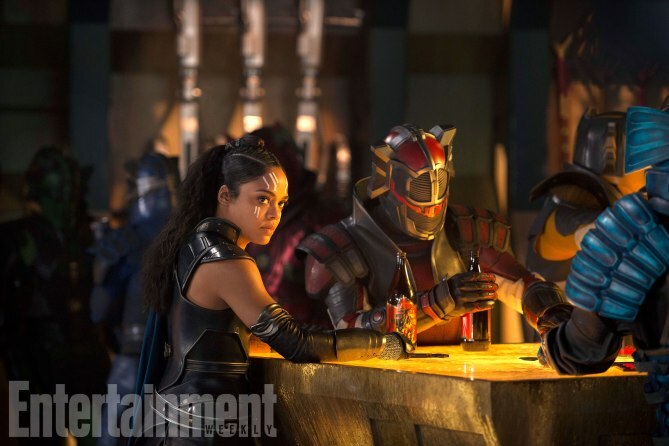 Not Marvel film studios (although they have cautiously followed the same path, just much slower) bu Marvel comic books, have sought to increase diversity over the past couple of years through what I myself labeled as artistic "wealth redistribution," in taking the (white, heterosexual) Tony Stark comic book character, and changing him into a young, black female; Thor was also turned into a female, Spider Man into a bi-racial black teenager and a female Muslim teenager got the role of Ms. Marvel; comics haven't been selling. This is a "Google Doodle," meant to "inspire" people to be better people, and this particular one shows people who are all "different" in some self-identified way as "getting along": from left to right, the young man in the wheelchair, beside the boy with the rainbow "G" on it (gay), by the Muslim girl, by the Jewish girl, by the transgender,.... "being," (I can't tell if it's male or female), by the Christian, by the atheist (the "e=" references Einstein's "E=mcsquared" equation, which I guess is supposed to make us all "realize" God doesn't exist, but Einstein argued quite differently, anyway,....) with the man in the yellow shirt, I guess, representing the "elderly" population (because of the cane). Now, please look at the background: what do you see in the gray-shadow area? The devil's horns being held up. The sign of the devil's horns is literally Satanic, and the presence in this "advertisement" achieves two things. 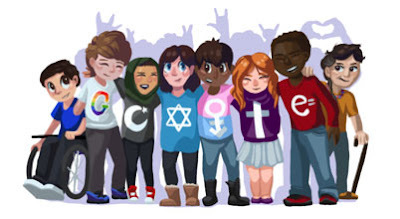 First, it validates that this kind of "tolerance" is stamped with Satan's mark of approval and, two, it gets us used to seeing the devil's horns so, like everything else, we are brainwashed and just start accepting it. The lousy attempt to make a heart with two hands (above the head of the man at the end with the cane and yellow shirt) is a poor example of what "love" really is, and looks more like the Illuminati triangle celebrities flash all the time, rather than anything resembling what love actually is. But this is more brainwashing, because the New World Order doesn't want us to be diversified, it wants the exact opposite: for us all to be identical and have the exact same, controllable moral codes created by they themselves. Gabriel later issued a clarifying statement, saying that some retailers felt that some core Marvel heroes were being abandoned, but that there was a readership for characters like Ms Marvel and Miles Morales who “ARE excited about these new heroes”. He added: “And let me be clear, our new heroes are not going anywhere! We are proud and excited to keep introducing unique characters that reflect new voices and new experiences into the Marvel universe and pair them with our iconic heroes. "Whether we believe that or not," was probably a more telling bit of politics than what Gabriel, or Marvel, wanted people to actually hear in public: in other words, Marvel all ready wrote their narrative they were going to stick to regardless of what sales of the "new" heroes' comics did in terms of sales before any of the changes to core Marvel characters were even announced to the public. So why don't people want "new heroes?" "New" is utterly misleading, because they aren't "NEW" they are replacements, and "replacing" Tony Stark isn't creating a "new" hero, it's erasing the old hero who can be utilized to displace and replace the values and ideology that character was created to establish and propagate: Riri Williams isn't a new hero, she's a political grafting of a new brainwashing program meant to undermine the power, value system and cultural identity of America, including American minorities who did assimilate the values Iron Man stood for, which includes not being racist. Riri is a pawn preparing the United States for a civil war to ultimately end in a white genocide: don't believe me? This university campus offers a space/group where whites can go to feel and express their guilt for being white; and this woman posted on her Facebook page that all white women should be hunted down and killed so they would stop having babies, and Facebook ruled that was NOT hate speech. It will only get worse if it's not stopped.